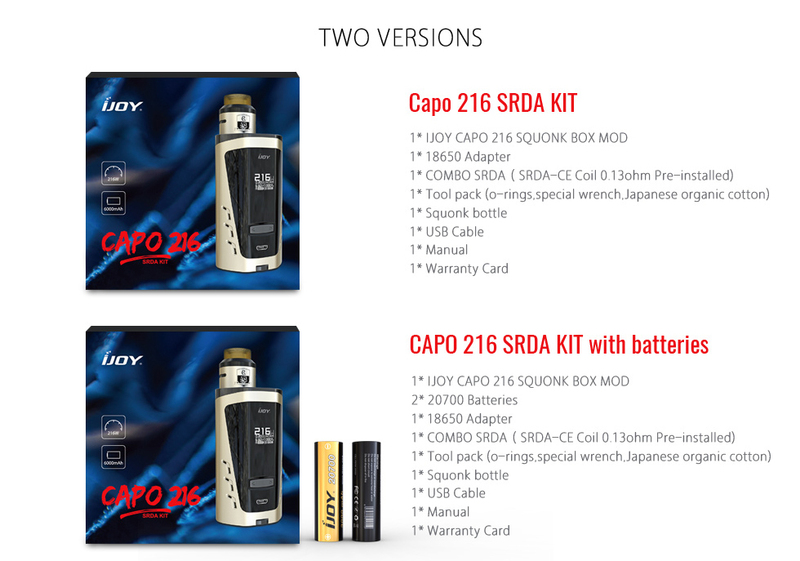 The Capo 216 SRDA kit is a powerful squonker kit with a regulated max wattage of 216 watts. The kit includes two 20700 batteries and can also use standard 18650 batteries too. 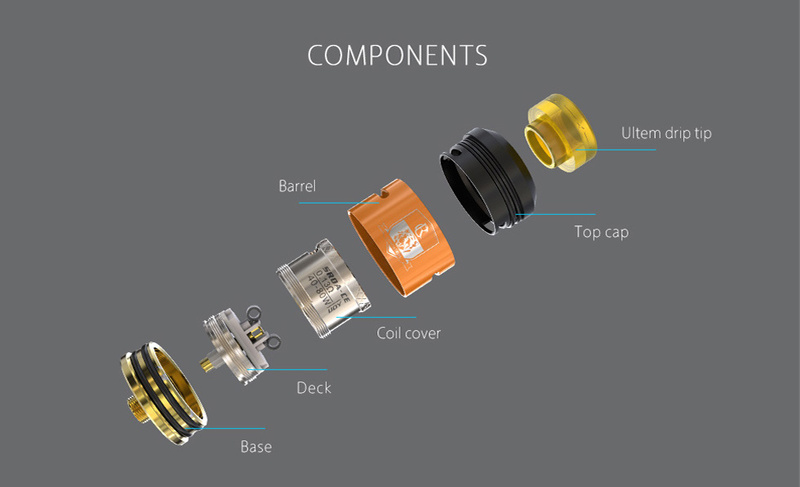 The main benefit of the SRDA 216, apart from the huge power out, is the pre-built coil decks for the dripper. For those looking to experience the superior taste and flavour of drippers but are not keen on building coils, this kit is the answer. As it is a regulated device it has the adjustable power and safety protections not available with mechanical devices. The kit can be charged via USB cable.